We’re never far away from you when you need us the most. If you don’t have a service plan with us, we can arrange a one-off repair for you at extremely competitive rates. Of course, with a boiler or gas appliance cover plan with us, you won’t have to shell out an extra penny should you ever need a repair, but we’re more than happy to help people who have not yet joined us. No job is too complicated for our engineers – benefit from low prices and top-quality services no matter what the problem is. We will perform efficient and proper safety and diagnostic tests to discover exactly what is wrong with your gas appliance and how it can be repaired. All parts and labour are included in the quoted price, so you don’t have to worry about any unforeseen expenses, and all work is guaranteed for 12 months, so you can rest assured the repairs resolved the problem. All our engineers are Gas Safe-registered, and have the skills and knowledge required to deal with all kinds of boiler problems. We have a network of over 3,000 engineers from all over the UK, which enables us to send someone to your household in as little as four hours hours from the moment you get in touch with us. 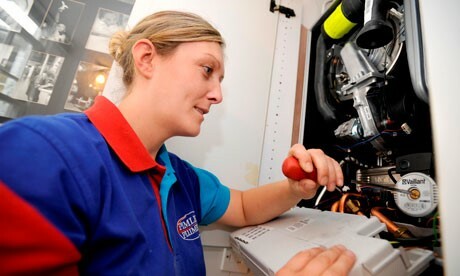 Our boiler repair and gas appliance repairs are very affordable, and we’re always happy to offer free, no-obligation quotes to people who need them. We will take all the hassle out of arranging a one-off repair – just get in touch with us to tell us what the problem is and we will take care of the rest. If you need a one-off electrical, appliance, plumbing or drainage repair, we will sort this out for you for as little as £60, provided you sign up for a £15-a-month appliance or home emergency cover service plan with us. If you need a one-off boiler repair, we will sort this out for you for as little as £95, provided you sign up for a £15-a-month boiler cover plan with us.